Spice up the lot with these balloons! GREAT ATTENTION GRABBERS! 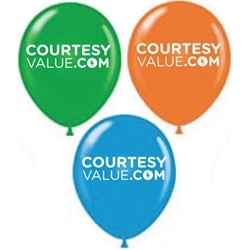 **CourtesyValue.com will print in white on your choice of a Orange, Green, or Blue Balloons.